As we grow older, there is an ever increasing tendency to question our faith and belief, the persistent worry about how life will end and what portends thereafter is never too far from the mind. Even the extremist atheists cannot deny that they sometimes marvel at our universe and wonder how it all came to be despite various theories of evolution. Tell me you don’t believe in God or gods I can agree but you will never convince anyone that you have no inner voice, that second voice deep inside that queries your action and decision is not just your conscience but it represents a power beyond the physical. It is a greater YOU that connects with a superior being richer in wisdom and knowledge. No other Pope in recent times has questioned the practice of the Christian doctrine viz-a-viz the simple instructions of Christ like the current Pontiff. This has endeared him to many, believers and non-believers alike including my humble self. The point made by the Pope somewhat reechoes Christ’s greatest commandment in the book of Mark. One cannot rightly claim to be a Christian by mere word of mouth, it is pure hypocrisy. The instructions of the one we claim to follow were equally lived out by him. I, therefore cannot deceive myself that by going to church and giving huge tithes every sunday salvation is assured. I am an Anglican but I schooled in College of the Immaculate Conception (CIC), a Catholic school in Enugu the Eastern part of Nigeria. That period of my life helped in molding my non-denominational attitude toward Christianity. I attend the nearest church unless I have reasons to go to a farther one and more often than not item 7 is involved, else I just go and worship in any nearby church. One decision I still regret was not allowing my daughter to partake in the first communion with her classmates in her 2nd class. That decision was not necessarily because I am an Anglican or that I dislike Catholics, far from it, I just didn’t have the money to host a grand occasion as is traditional is Ireland on the first communion. Moreover, I wouldn’t have been around as I was still stuck in Nigeria in pursuit of greenbacks. Silly and selfish. Now I am more than glad later on this year she will be attending the same Catholic secondary school with her classmates. During the tour of the school and introductory session I attended last month, the principal told us that theirs is a school run on strict adherence to Catholic doctrines, she however also stated that they welcome pupils of all faiths. She went on to say that they teach core values centered around love, respect and caring for each other. Seated a few yards away from us were a Muslim couple, the woman wore a hijab and her husband I assumed looked relaxed among many Christian parents. The kind of atmosphere I love to savour and I hope to bring up my kids to cherish same too. The guiding principle should always be love, not just in words but in actions, by caring for those around you especially the less privileged. This is what humanity is all about and I honestly believe that salvation cannot be attained without it. It is for this reason that I get irritated at self-pontificating pastors who mount the pulpit daily to recite the scriptures, yet cannot practice what they preach. After all, John queried how one could possibly claim to love God whom we cannot see when you do not love your neighbour who is right here with you. The Pope has seen that some atheists are doing good daily, loving and caring more than Christians, yet somehow these are supposed to be people who do not believe in the divinity of any being. The ones daily being condemned to damnation by our so-called men of God. Yet some of them emulate Christ better than the Bible-wielding preachers. I sure feel the holy father’s message and I’m sure it resonates with many of us. Life’s journey can be hectic but there will always be periods of quiet and calm when you meditate just by yourself. We should endeavour to use those periods to think about doing good and questioning whether our actions deserve earthly applause let alone a heavenly one. Altogether there seems to be a consensus that the heavenly race or transition to the afterlife is a solo journey. I sum up mine with a simple logic: It is better to believe while here on earth and get there to find out it was make-believe than to disbelieve and get there to find out it is real. In the latter case, however, if you did good while here on earth our heavenly father is kind enough to forgive your disbelief even on that judgment day. That is my extrapolation of the Pope’s message. Previous article Photography: Some tips to promote your career. 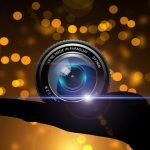 Photography: Some tips to promote your career.